Medip Academy is a publisher for peer-reviewed, high-quality, open access journals in the area of Medical Sciences. Medip Academy is committed to making the world's medical research a freely available resource. 1. Format articles for Medical Journals from Authors Manuscripts in Microsoft Word documents, and ensure that the proper template is applied. 2. Format tables and figures to specification of the Journals. 3. Work with existing templates, and create new templates as needed. 4. Key copyediting and proofreading changes in text, tables, and figures accurately through multiple production stages in Microsoft Word. 5. Editorial work of the journals using online journal management system. 6. Coordination with reviewers and authors on manuscripts submitted by authors. 7. 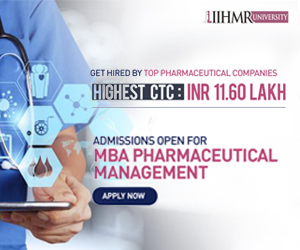 Ensure timely production of high quality documents (manuscripts, abstracts, short communications, review articles) for publications in journals or for other written communication material supporting pharmaceutical brands, research activities, and business needs. 1. Any Graduate or Postgraduate (Preferably Pharmacy / Medical/ Biomedical/ Dental/ Physiotherapy/ Microbiology/ Biochemistry/ Genetics/ Molecular Biology/ Biotechnology). 2. Knowledge of MS office. 3. Experience working in Microsoft Word and layout skills for table and figure and placement. 4. Strong attention to detail and accuracy in inputting copyediting and proofreading changes. 5. Excellent written English skills. 6. 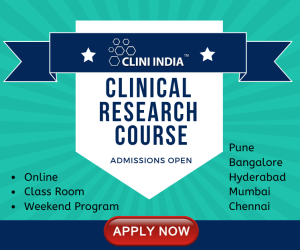 Advanced knowledge of clinical research processes and drug development, as well as CONSORT, ICMJE and other such industry guidelines. 7. Proven skills in writing and editing documents for publications, including interpretation and summarization of complex clinical data across multiple studies and phases. 9. Clear, concise scientific style of writing with a high level of attention to detail. 10. Ability to work under tight timelines. 11. Mention specifically in your resume if you have any publications in the scientific journals. Submit application via email to hr@medipacademy.com with “Medical Writing” in subject line. Send your resume in word file. Include cover letter and minimum salary expectation.